I didn't know what to expect going into this fantasy drama, just that the basic outline seemed intriguing, but as it turned out this sweeping reincarnation-romance Korean television drama Goblin, the Lonely and Great God (2016-17) captured my imagination completely. I was never once bored with this delightfully pretty, romantically intense, and often funny drama. The cinematography, first rate CGI, and stunning location shots in Quebec City, Canada gave the entire story an extra mystery and beauty that many other Korean dramas lack, to the same high degree anyway. I really feel this drama raised the barre for the quality of the visual images this industry should strive for -- already as it stands now Korean television is so far beyond the uninspired, nonintellectual, boring trashy drivel produced for American television that there really are no more comparisons at all to be made between the two countries' television entertainment output quality. One is like looking up and seeing Heaven, and the other is like looking into a garbage can. Koreans must have hired the best cinematographers in the business to film this fantasy - reincarnation romance story. Breathtaking images abounded, some of them almost like paintings, especially the historical flashback scenes and the Canadian scenes. Combine that with the exquisite soundtrack, with instrumental and vocal pieces that touch the heart continuously, and great acting from a wonderful ensemble of experienced professionals, and you have a masterpiece in this K-drama. Personally, as a Christian, I would have preferred if the spiritual aspect of the story had been closer to the Bible's picture of God, man, sin, spirit beings, life and death, and the afterlife, instead of one based on fanciful reincarnation that does not exist, but I do acknowledge such imaginary story devices make for great fiction plots for writers. Just know ahead of time there are no spirit beings in the Bible called goblins and grim reapers but rather other celestial beings such as angels, cherubs, seraphim, demons, etc. and then you can approach this imaginative drama as the work of fiction that it is. 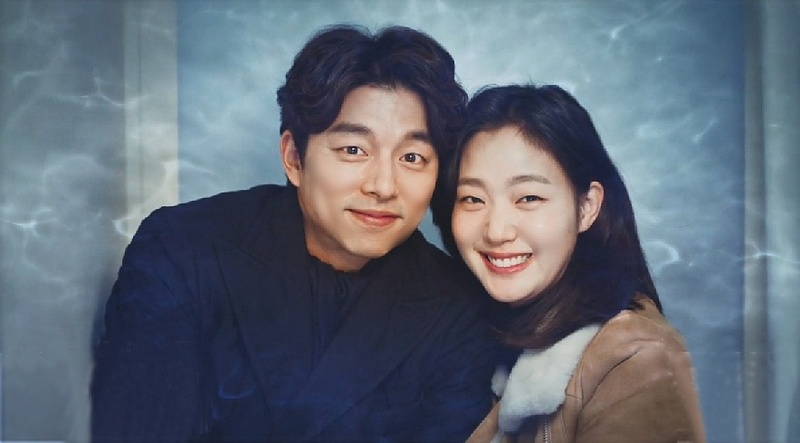 This drama became the highest rated drama aired for cable station tvN in its history, and acted as a great comeback drama title role for Alpha Male Coffee Prince actor Gong Yoo, and a high quality career boost for its main female star Kim Go Eun, playing his young love, whose prior drama had been the rather lackluster Cheese In The Trap (at least that one was disappointing to me because it didn't show off its male star Park Hae Jin to his best advantage). Prior to that I had been impressed with her performance in the 2014 film Monster, with Min Ki Lee, playing a mentally challenged girl running from an insane killer; she wowed me with that performance first. I hope she continues to have outstanding TV drama successes like Goblin ahead of her. Also adding their own magic to this production were always excellent actor Lee Dong Wook (Scent Of A Woman, Kang Goo's Story, Roommate, Loving You) playing a Grim Reaper, and lovely Yoo In Na (My Love From Another Star, Queen In Hyun's Man, Secret Garden) as his reincarnated love who is off bounds to him due to the sins of his past life. 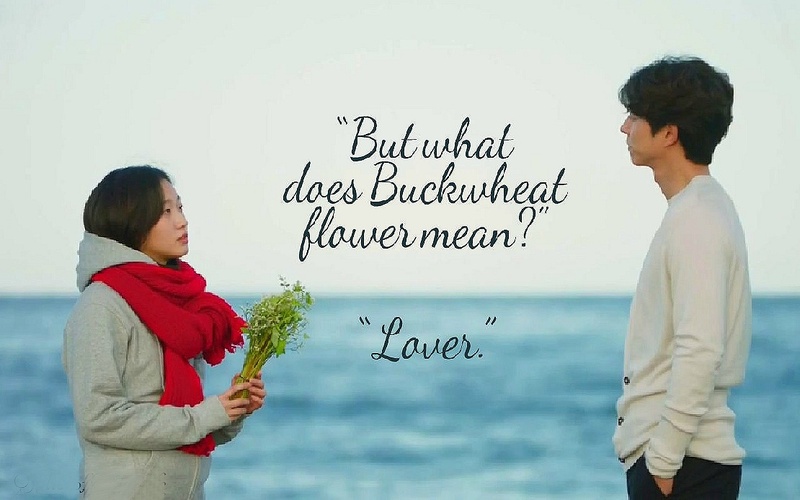 Goblin was created by the director-writer team of Lee Eung Bok and Kim Eun Sook, who had created the blockbuster 2016 hit K-drama Descendants Of The Sun together, so we already knew these two talented individuals were fully capable of coming up with yet another worldwide hit television show. 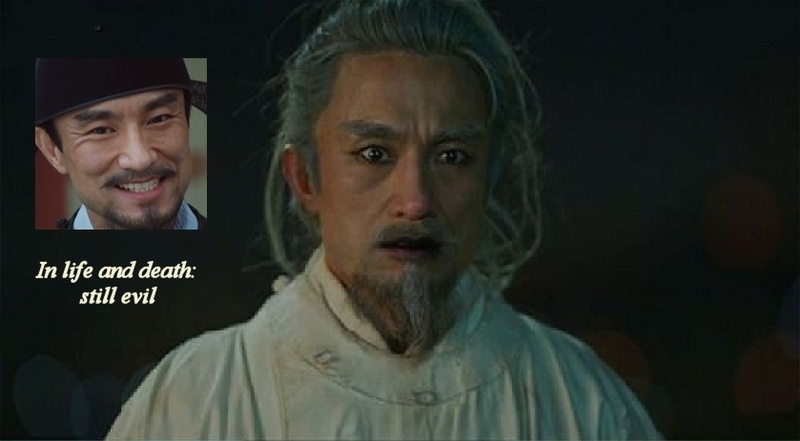 Kim Shin (Gong Yoo) is an immortal Goblin and protector of souls who was once, long ago in the Goryeo Dynasty, a victorious general for a jealous young King (Kim Min Jae), who had ordered his execution and that of the general's sister, the King's queen (Kim So Hyun from The Suspicious Housekeeper). 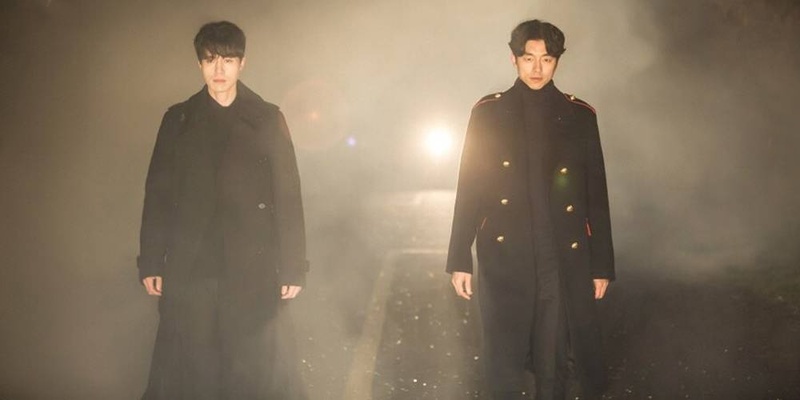 In the modern day the Goblin lives with an amnesiac Grim Reaper (Lee Dong Wook) who is in charge of taking deceased souls to either heaven or hell after he gives them a special tea which will erase their memories of their lives on earth. At first the Grim Reaper and the Goblin do not get along at all, but eventually they become friends and even confidantes at times. Their rather depressing spiritual work helps them to understand one another, while outsiders looking in often have trouble understanding them. Talk about your unusual "bromance", this one takes the cake in terms of irony and pathos and humor. One day Kim Shin meets a young high school girl, Ji Eun Tak (Kim Go Eun), who has a special ability to see ghosts (and also to see an invisible sword embedded in his chest that no one else can see! ), and she is destined to be his bride who might be able to pull the invisible sword out of his chest, causing him to finally die after hundreds of years. However, Kim Shin has no idea how deeply he will end up falling in love with the perky Eun Tak and hence how he will think twice about his possible future demise. From yearning for it he will come to resist it. He is shocked when he walks through a door he knows will lead him to Quebec, Canada and a particular cemetery he likes to visit ... and Eun Tak walks through the same door right after him and ends up with him in Canada! Not even the Grim Reaper can do that! They tour the beautiful sites and grow closer, until he reminds her she's late for school in Korea. Back in Korea there is another door he can walk through that takes him to a garden paradise and it's here where he prepares himself for his obliteration. Eun Tak is told if she takes the sword out of his chest he will become "pretty"; she has no idea he will actually, finally die. She reaches for the sword but for some mysterious reason it slips through her hands. Later she finds out the truth from the Grim Reaper and is horrified at what might have happened if she had been successful at pulling out that sword. Probably my favorite scene in the whole drama is this one, below, where the Goblin finally admits to himself he loves Eun Tak. This scene is like poetry in motion -- you'd wait forever to find see anything this beautiful on American television. Hollywood doesn't have it in their empty souls. Too concerned with politics these days instead of pure storytelling. 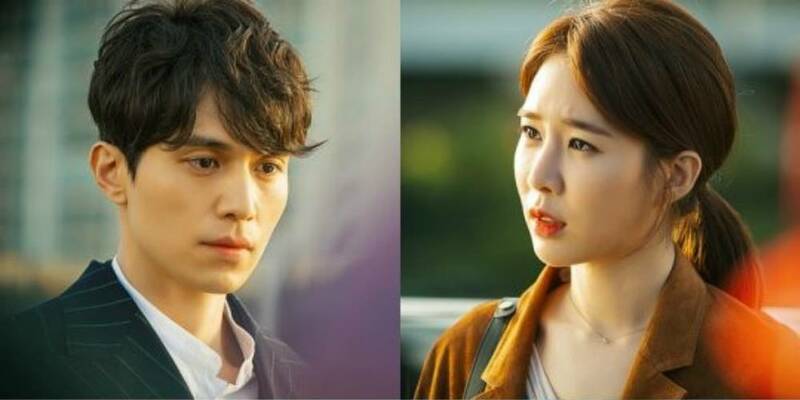 Adding to the drama's charms and humor are Kim Sunny (Yoo In Na), a beautiful but single fast food chicken shop owner who falls in love with our Grim Reaper because of a shared past life together neither of them can remember ... at first. Plus young male character Yoo Duk Hwa (up and coming actor Yook Sung Jae, who reminds me a bit of Seo In Guk and who gave such a nice performance in The Village: Achiara's Secret), a wealthy heir who happens to be Kim Shin’s nephew, with a determined penchant for credit cards and the easy life, also adds a lot of humor to the show. He has to constantly beg his grandfather Chairman Shin Woo (veteran actor Kim Sung Kyum) for money since he has an aversion to work. Will that ever change and will he ever grow up? 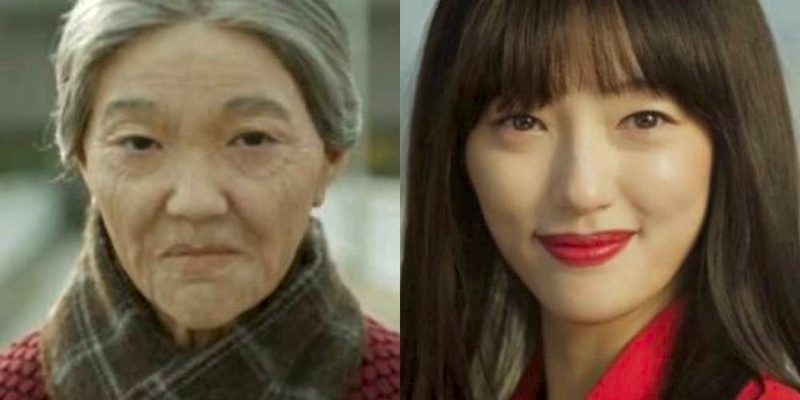 In addition we have a mysterious lady in red character named Samshin (Lee El who played Jamie in Liar Game), a goddess of birth and fate, who watches all their lives from a close distance and who several times turns up as an elderly sphinx (the makeup job here was amazing). Our main villain is a crafty, grisly, ghoulish, stubborn, demonic spirit called Park Joong Heon (Kim Byung Chul) who detests Kim Shin and wants revenge on him, long after he inspired the young king to try and kill him centuries earlier in Goryeo. There are many thrilling twists and turns and surprises in the Goblin story that will leave you either gasping, tearing up, or outright laughing. This writer definitely has a great sense of humor (my favorite funny bit was when Kim Shin jumps out from an Egyptian mummy case, trying to confuse the Grim Reaper). The Koreans are great at following poignant scenes with a bit of funny business, and before you have a chance to wipe your tears away from the previous scene you are laughing at the next. Very Charlie Chaplin of them! The main attraction to the drama (besides the gorgeous cinematography) is the growing intimate relationship between Goblin Kim Shin and Eun Tak, a meeting of minds and spirits. Usually we get "noona romances" in Korean dramas: younger men liking older ladies, but here it's reversed and we get a May - December romance instead. Heck, we even get a wedding in this show, and we rarely ever see weddings in K-dramas (although this is no Jane Austen story, it does not end with a wedding!). Plus, we don't have to suffer through any triangle love story - no second male lead pining over Euk Tak or drawing our attention away from the first male lead's interest in her. The second male lead has his own separate love interest. Hooray for that! It's been a staple in Korean dramas for far too long for writers to make the second male lead more sympathetic than the first male lead. It's nice to avoid that scenario once in awhile. 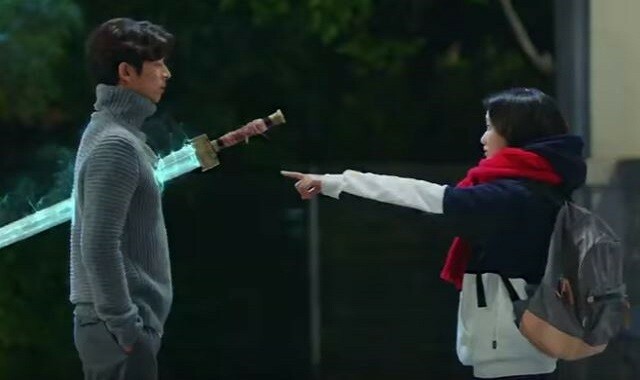 Don't miss this trend-setting Korean drama, Goblin! I hope someday this show receives an official DVD box set release on Region One for the Americas. Blu-ray would be even better. It deserves it. The purist K-drama fan wants their own hard copies of favorite shows for posterity, and not just from streaming sites, which can disappear at any time, and in this masterpiece's case, did.